Laurkim Labradors is located in beautiful Medina, Ohio. We are a small home based kennel breeding Labradors with champion bloodlines. 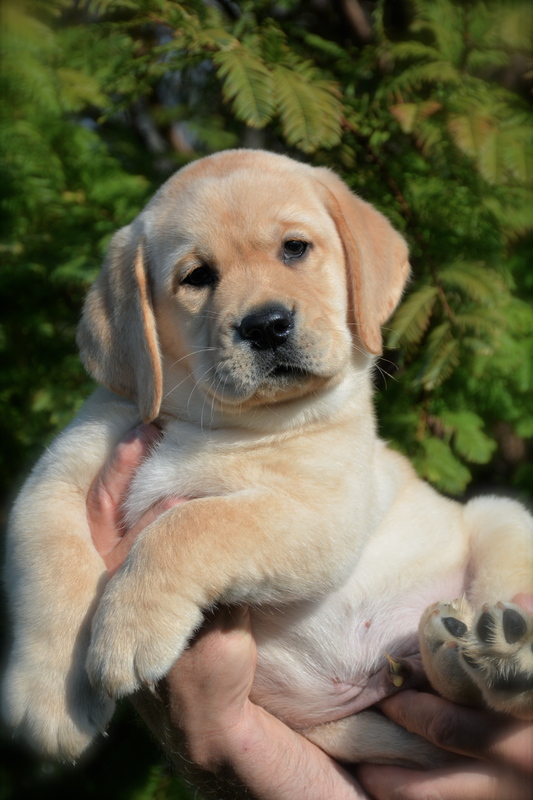 Our goal is to produce the best Labrador possible for both show and loving families.We were partnered with Tim Bosley of Blacklick Labradors for many years who was located in Forest Ohio. Sadly Tim passed away on Aug. 2nd, 2011. We will deeply miss his friendship and labrador knowledge. Our daughter Alexandra has now joined in partnering with us. She is trained as a Veterinary Technician and has been learning since she was born. All of our male labradors live with Alexandra. We breed only Labradors with correct clearances. All of our Labs are cleared on hip and elbows through the OFA and eyes through an annual OFA exam. Optigen testing for PRA is done on all of our dogs. We also tests hearts and for EIC. We breed dogs with an emphasis on pleasant, intelligent temperament, soundness and correct conformation. Our puppies are born and raised in our family room. They are extremely well socialized with adults and children before they leave for their new homes at 8 weeks of age.We have five children who are also very involved with the care, and socialization of our dogs and puppies. Puppies will have their first shots , four wormings, and go home with a health guarantee, AKC limited registration papers, pedigree, copies of all clearances on both parents, instructions, and lifetime support. 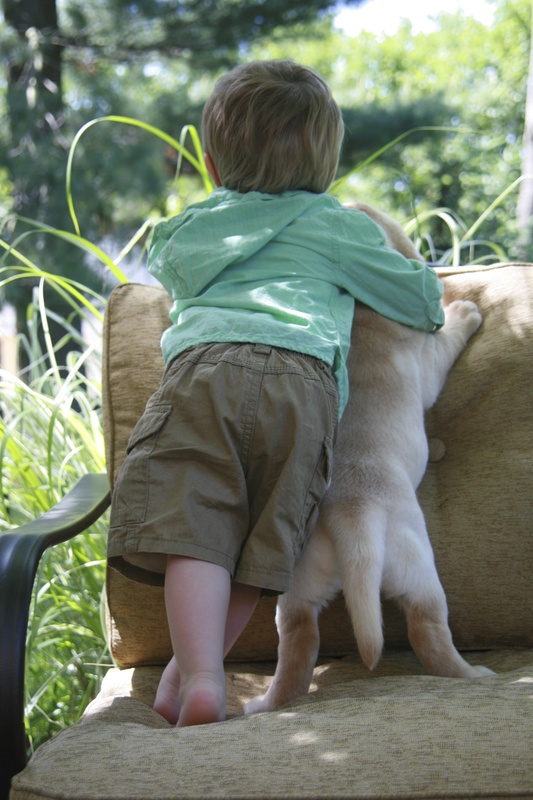 Families who purchase our puppies become part of the Laurkim Labrador family and we love hearing from them. It is essential that you get to know your breeder. Breeders are committed to raising happy, healthy puppies. We will share all the information we can on puppy rearing to make your experience a pleasant one. They are our children leaving the nest and we want them to be well cared for. Explore our web site and get to know our Labs. The pictures are a good representation of how your puppy will look. Feel free to contact us with any and all questions. "Dogs teach us about faith, trust and devotion. how to attend and wait and how to let go of a grudge. and experience of unconditional love."